Case Management is a key service offered to all clients in our Transformational Housing Program. Case Management is a client-centered, goal-oriented process of assessing clients’ needs and working with them to obtain the services needed to overcome barriers to housing and employment. Helping clients achieve long-term self-sufficiency is our goal. We employ a highly effective case management system linking services and resources to client needs and goals. Case managers build a relationship of mutual trust and respect with the client, and our experience has shown us that this relationship makes a critical difference in client success. In the Transformational Housing program, the case manager visits with clients weekly and provides additional on-going support. Follow-up services and support are provided for up to 24 months after residents graduate from the Transformational Housing program. Trauma Informed Care, which is a treatment framework that recognizes that people often have various kinds of trauma in their lives. Critical Time Intervention, a practice that mobilizes support for society’s most vulnerable individuals during times of transition. Two special areas of focus for our case managers are services for veterans and transitional youth, aged 18-25. This program provides peer support and integrated case management to homeless individuals and families who have devoted their lives to serving in the U.S. military. COI partners with the Veterans Administration and other providers in the community. Good 2 Go includes weekly Veteran’s Advisory meetings which promote goals, camaraderie, and healthy outlets for veterans in the community. Along with Peer Support and Case Management, veterans who qualify are also enrolled in Grant Per Diem housing. Grant Per Diem (GPD) is a housing program from the VA that provides wraparound services while the homeless veteran is in transitional housing. This provides a way for HUD VASH to get involved with the veterans – helping to link them with employment, education, and permanent housing. COI is also one of the Veteran’s Administration Hospital-to-Housing (H2H) partners. The intent of H2H is to provide both follow-up medical care and housing case management seamlessly for homeless veterans following an inpatient stay or emergency department visit. Veterans considered for the H2H program would otherwise be discharged to the streets, an emergency shelter, or have longer inpatient stays. Good 2 Go aims to help each veteran gain employment, coping skills, income, and permanent housing. This program has a diverse group of veterans from all walks of life, and one thing in common: they all signed the dotted line. 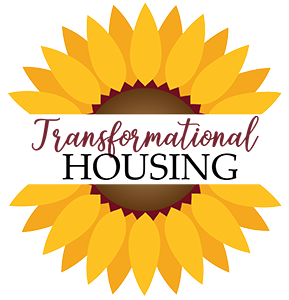 The main goal of the Transitions program is to help homeless young adults (aged 18-25) develop safe points in the community, build positive relationships, and increase training opportunities for employment and school. This program has integrated Case Management, and “built-in” peer support. This program works through our partnerships with the following providers: 509J School District, College Hill, Jackson Street Youth Services, Samaritan Health Services, Oregon State University, Benton County Probation and Parole, the Oregon Youth Authority, Community Services Consortium, Old Mill Center for Children and Families, and Willamette Neighborhood Housing Services. All of the young adults in this program are encouraged to stay in housing for 12-18 months. Young homeless adults in this program are expected to remain alcohol and drug free, and are strongly encouraged to develop positive mentor relationships with other healthy adults in housing. For those youth who have bounced from one place to another, COI is a safe and welcoming place to come for help. Our staff welcomes all young adults to our shelter including those who are a part of the LGBTQ community.